Regulators Slam LPL Financial Over Nontraded REIT Sales… Again! Billions of dollars of REIT investments are sold each year. There sales continue to grow at record pace. Unfortunately, these products are often sold to the wrong investors. 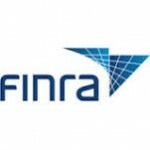 Earlier this month the Financial Industry Regulatory Authority (FINRA) fined LPL Financial $950,000 because of its failure to supervise REIT sales. REIT is short for Real Estate Investment Trust. Created by Congress in 1960, REITs are a popular way for investors to pool their money and participate in big real estate projects such as hotels, hospitals, shopping centers and warehouses. Because of favorable income tax treatment, they have become extremely popular. There are several types of REITs. Many allow their shares to trade on national stock exchanges. While there may still be risks involved, these publically traded REITs are generally safer than their illiquid cousins, private and nontraded REITs. As their name suggests, non-traded REITs have no ready secondary market for their shares. Often investors must hold them for 7 years or longer. Nontraded REITs might be suitable for institutional investors and those with discretionary cash and no need short or medium term need to access their funds. They generally are not suitable for elderly investors and those that need access to their money. Why would a stockbroker ever recommend a nontraded REIT to a client instead of a traded REIT? The answer is easy. Money. The riskier REITs generally pay commissions far above market rates. What is good for the broker is often terrible for investors. Regulators have been struggling to rein in poor marketing practices centering around REITs and other alternative investments. In fining LPL Financial, FINRA claimed that the broker dealer did not properly supervise sales nontraded REITs and also failed to enforce concentration limits. In the wake of increased state and federal scrutiny, many brokerage firms and some states such as Massachusetts have set limits on the percentage of a client’s portfolio that may contain non-traded REITs. Investors, of course, are free to purchase whatever they want but brokers are limited in what they can recommend. This month’s fine against LPL comes on the heels of a lawsuit filed against the firm in December 2012 by Massachusetts regulators. That case settled after the company agreed to pay $4.8 million in restitution to Massachusetts investors who suffered REIT losses. In settling FINRA’s case, LPL was not required to admit any wrongdoing. Although the fine seems high, LPL Financial claims it is the largest independent brokerage firm in the United States. Last year their revenues were over $4 billion. Stockbrokers and investment advisers can’t guarantee investments but they are legally required to only recommend investments suitable for their clients’ needs. This includes a requirement to thoroughly explain all recommendations and insure the client understands that nontraded REITs can’t be easily sold or liquidated. If you suffered from REIT fraud or can’t access your funds, there is hope. Both stockbrokers and their employers are responsible for unsuitable investment recommendations. Most cases can be handled on a contingent fee basis and can be resolved through arbitration. We have teamed up with the REIT loss recovery lawyers at Chapman Law to help victims of REIT fraud get back their hard earned money. If you are seeking information about REIT claims, check out our special REITlossrecovery website. Still need more information? Contact John Chapman at 877-410-8172. Have other investment fraud questions or concerns? Call the author of this post, Brian Mahany at (414) 704-6731 (direct).